How chalked paint and milk paint can boost work volume and profits. 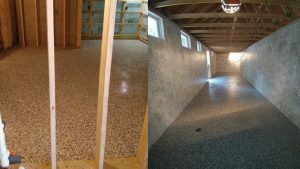 There are good reasons some painters develop specialties that go beyond standard brushes, rollers, floors and ceilings. Variety of work, more work and greater profitability are some of the benefits, and learning to use chalked paints and milk paints to renew furniture and interior woodwork is one of the hottest specialties right now. 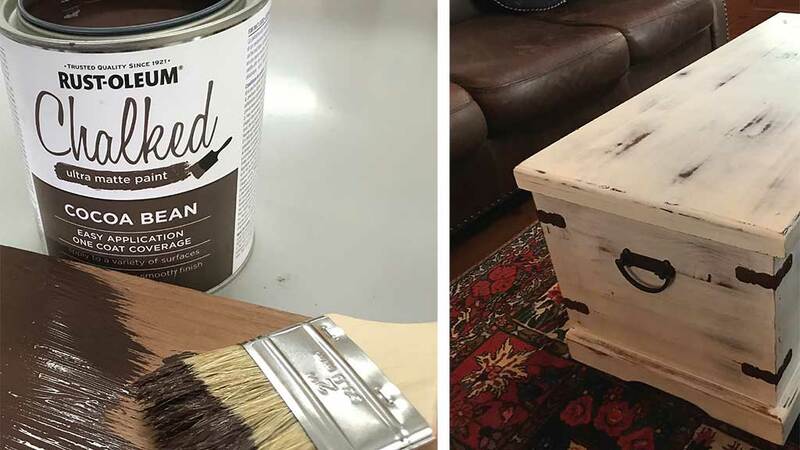 “Renew” is a curious word in this case because many homeowners are especially interested in creating an antique look on formerly painted or stained woodwork. Old is hot right now. Before I get to the five steps for creating classic results with these paints, there are a few things you need to understand about the paints themselves. “Furniture paint” is a generic term that includes milk paint, chalked paint and other formulations designed to create an old-time appearance. Matte sheen, pastel colours and distress-able consistency are the three hallmarks features of these paints. Milk paint and chalked paint are the most common and popular, and that’s what you’ll learn about here. Chalked vs. Milk vs. Latex – What’s the Difference? Consistency – Milk paint is the thinnest of these three paints, followed by chalked paint and latex. 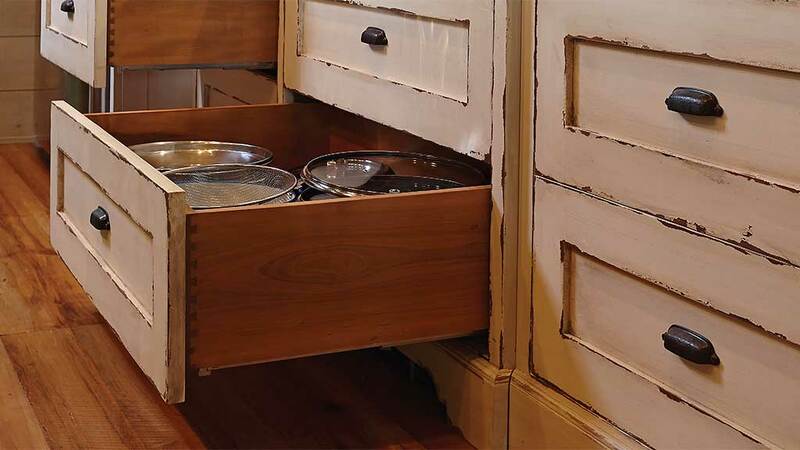 Hiding – Depending on how it’s mixed, milk paint usually lets the most show through. Chalked paint hides more, but not as much as latex. 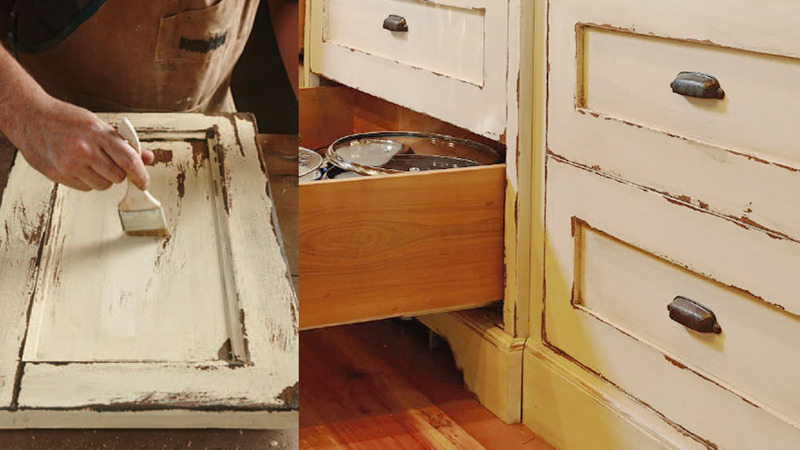 Distress-ability – Milk paint and chalked paint are both easily sanded to look old. Latex is highly resistant to wear and doesn’t distress nearly as well. 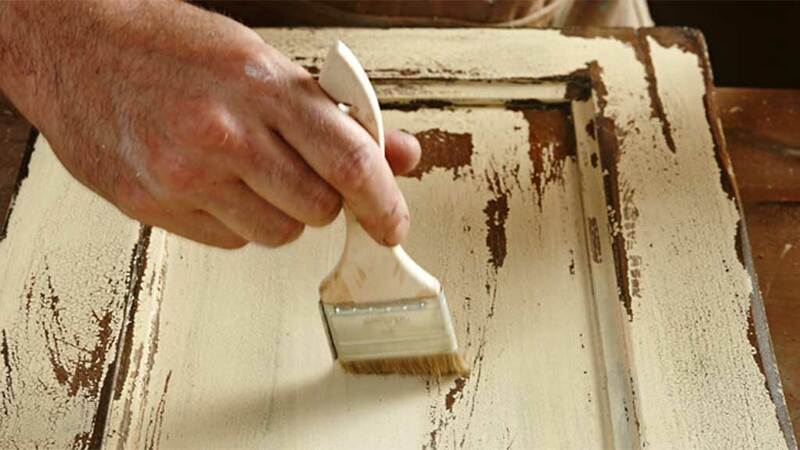 Wash-Up – All three paints wash with water, though milk paint washes the most easily because it’s thinner. Sheen – Milk paint and chalked paint are completely flat unless coated with something glossier. Gloss-free latex is just as flat as the other two. Durability – Latex is highly durable on its own. Both chalked paint and milk paint need the extra protection of some kind of clear top coat. Fumes – just like VOC-free latex, chalked and milk paints have low odour that’s not bothersome nor toxic. 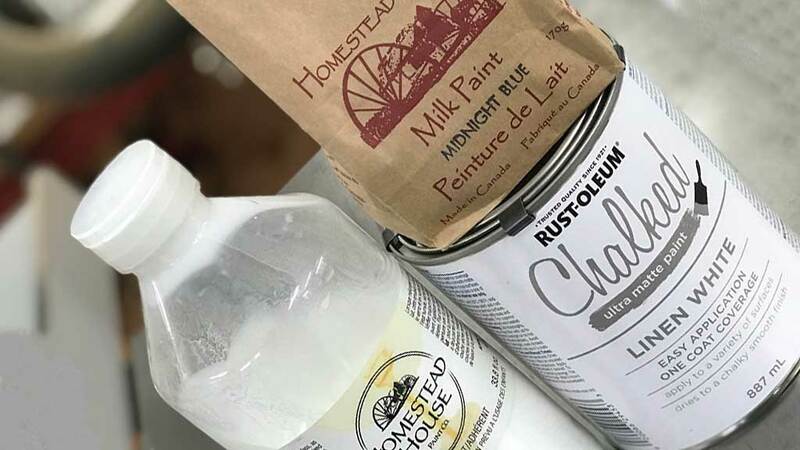 While milk paint usually comes as a powder that you mix with water, and chalked paint (also called “chalk” paint) comes premixed, the biggest difference between the two options is about how they go on and how they look. Milk paint is usually mixed fairly watery, so it’s something like a cross between a paint and a stain. Chalk paint is thicker and covers more thoroughly –almost as well as latex. The biggest advantage you can give yourself with milk paint is to mix it with some kind of machine. Hand mixing tends to leave frustrating lumps that also wastes material. An old egg beater attachment chucked into a cordless drill is great for mixing milk paint. So is an old 1 1/2” spade bit that’s too dull to use on wood. Mix your milk paint in a big old mason jar and you’ll be able to keep the paint fresh for subsequent coats with the lid. Put some vaseline on the threads to stop stray paint from gluing the lid shut. The correct approach here depends on the surface you’re starting with and the paint you’re using. Both chalked paint and milk paint can be applied directly to bare wood without primer. The first coat soaks in and the second coat forms something of a surface film. 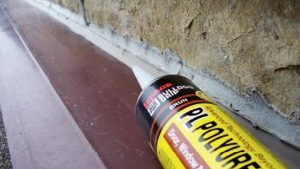 If you’re working over existing paint, urethane or lacquer, there’s no need to remove the old coating, but you will need to help the paint stick. Milk paint suppliers offer a bonding agent that you mix with the paint as you’re adding water. This bonding agent is a cousin to ordinary PVA wood glue and takes the place of some of the water in the finished mix. In my experience about 20% to 30% bonding agent and 70% to 80% water allows milk paint to stick reliably to old urethaned finishes that have been sanded lightly. I’ve never experienced flaking or bond failure with this approach. Chalked paint is a little different. Since it comes already mixed, you can’t add a bonding agent to it. Instead, use a high-end latex primer on surfaces that have been lightly sanded or treated with a deglosser. One coat of primer followed by two coats of chalked paint does the trick. a quick coat of stain can provide that. The need for a dark underlayer is one of the reasons that applying milk paint or chalked paint to previously stained and sealed wood is such a good combination. You’ve already got the stained foundation layer. 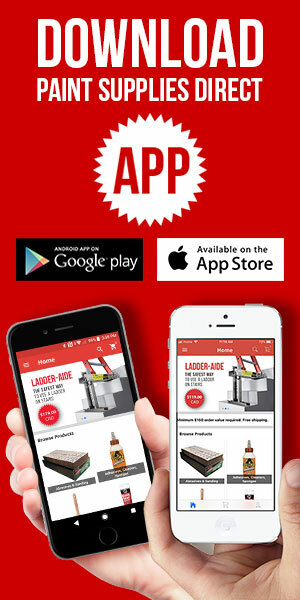 This is where you’ll need to gain a little experience. You can use any of the usual delivery methods to apply chalked paint and milk paint – brush, roller or sprayer – but the way you apply it has an effect on how it appears. A brush is the best option for small projects or anything that includes nooks and crannies. A roller is fine for flat surfaces, but the texture of the refill will have an impact on the appearance. Use a short nap or foam roller. Spraying is an option too, but it can be troublesome with milk paint. It’s not unusual to have the odd lump or undissolved bit of powder even if you have mixed with a drill. The bottom line is simple: until you gain experience with these specialty paints, don’t dive into a project without experimenting with delivery methods and how they look on different surfaces. Make up samples to gain experience and be sure to keep the samples handy. They could save you a lot of time and grief later as you work with clients to come up with an approach for specific projects. 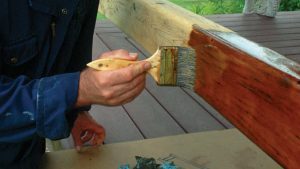 Depending on the surface you’re dealing with, sanding between coats may be unnecessary or essential. It all depends on how smoothly the first coat is after it dries. No matter how much a clients says they want a distressed look, that desire almost never includes a rough surface with hardened wood grain sticking up and catching dust. Antique is one thing, rough and ugly is another. Both milk paint and chalked paint are waterbased products, so they can really give wood a five o’clock fuzz. A little sanding between coats knocks off the bumps and lets you put down a second coat you’ll be proud of. 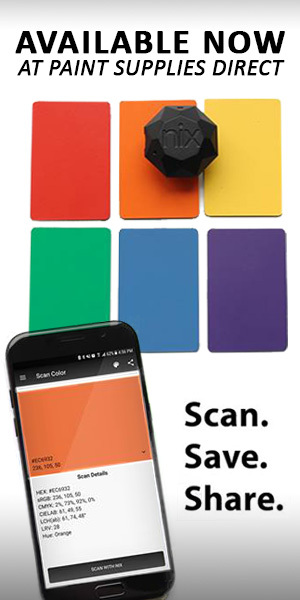 180-grit paper in a quarter-sheet finishing sander is ideal for flat surfaces. Use the sand paper by hand on edges. A medium or fine-grit 3M rubbing pad is perfect for curved areas and spindles. This is an optional step and it’s where artistry comes in. Distressing not only makes a surface look old, but it also makes it age more gracefully. When something already has wear and dents from the start, new wear and dents don’t look bad. The thing is, you need to proceed slowly with distressing and only after talking to your client. Do they want a distressed finish at all? Milk paint and chalked paint still look great without intentional wear and damage. 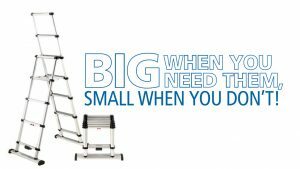 Does your client want a small amount of wear on corners and edges? Lots of wear? The potential for “differences of opinion” is great here, so be careful. The best way to proceed is for your client to be on the job as you begin the wear process. Do a small area and ask for input you can apply over the whole job. The unique thing about milk paint and chalked paint is that it’s quite sandable, and sanding is the start of the distressing process. A quarter-sheet finishing sander with a 120- or 150-grit abrasive is the best option for wearing through flat open areas. The same sand paper used by hand is good for corners. Finish up with a fine or medium 3M rubbing pad to complete the wear. Does your client want a small amount of wear on corners and edges? Lots of wear? The potential for “differences of opinion” is great here, so be careful. The best way to proceed is for your client to be on the job as you begin the wear process. Both chalked paint and milk paint are fragile by modern standards, and that’s why they need the protection of top coats as a final step. Just don’t be fooled into using something you’ll regret. The online mommy blogger universe includes thousands of amateur experts with articles on using milk paint and chalked paint, and many recommend wax as one option for a final protective coat. In my experience wax is slow to apply, offers little protection and is prone to attracting dust. It’s not for professionals. And for obvious reasons once you’ve applied wax, it eliminates the possibility of safely recoating again. The widespread recommendation to use some kind of oil finish is not great either. Hemp oil is a big one you see for milk paint and chalked paints, but in my experience it’s way to slow to dry. The best top-coat I’ve found for milk paint is one or two coats of Minwax Wipe-On Poly. It’s a very thin urethane that goes on with a rag like oil, but dries quickly and hard. Be sure to choose the satin formulation to retain the low-sheen look of the paint. If you want an absolutely flat sheen after the top coat, buff the surface down with one of those 3M rubbing pads in the fine grade. Use it by hand on curved surfaces or under on a random orbit sander for flat areas. Chalked paint manufacturers offer proprietary top coat products. Working with milk paint and chalked paint is different enough that it’s a nice change from regular work. Smaller scale and with more scope for productivity, people pay money for painting new to look old.